The INSI Facade and Roofing Plant manufactures facade, roofing and load-bearing structures. In our Company you can buy facade and roofing materials separately or order a whole building. 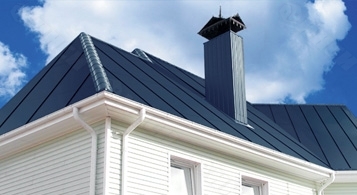 Wide range of roofing and facade elements made of high-grade metal. Complete work package from design to "turnkey" construction (buildings and structures for various applications). Space-saving modern package simplifying and speeding up delivery to any distance. Only modern construction materials, no need for expensive lifting equipment. Bolt-on junctions, without wet-mix process. The company has been on the market for 22 years already. There are hundreds of completed projects on the CIS territory. High level of the company staff proficiency. All the products we make and works we perform have relevant certificates of quality.